The ruler of England discovers the value of common friendship in this historical drama. After the death of her husband Prince Albert, Queen Victoria (Judi Dench) is despondent, and she remains in mourning for two years after Albert’s passing. When one of her servants suggests that a daily ride on horseback might be a tonic for the Queen’s health and spirits, a Scotsman named John Brown (Billy Connolly) is hired as her guide and groom. At first, the Queen shows no interest in riding, though Brown readies a horse for her each day; finally, after several days, Mr. Brown speaks frankly to the Queen, announcing, “Honest to God, I never thought I’d see you in such a state!” While her court is shocked, the Queen is refreshed that someone would speak to her so directly. Soon the Queen is riding with Mr. Brown every morning, and she discovers him to be a friend and confidante who will speak to her as a person and not as a potentate. However, many are shocked by their relationship, believing that the commoner Mr. Brown is using his friendship for political advantage — or worse, that he’s become her lover. Look at Colin Firth’s masterful dance steps. He never looks at this feet. He is sure of himself in that difficult dance. Tom Hardy is reuniting with his Locke director and screenwriter Steven Knight, and his Child 44 producer Ridley Scott for eight-part period series Taboo. Knight created the drama based on an original story by Hardy and his father, Chips Hardy. Tom Hardy will star as an early 19th century adventurer battling the East India Company during a time in British history “when the rising power of the Empire seeped into every dark corner,” says exec producer Scott. This is the actor’s latest foray into British television after recently coming on board the second season of BBC Two drama Peaky Blinders, which Knight also created. Scott Free London and Hardy Son & Baker are producing Taboo for BBC One and Sonar Entertainment. Shooting will start in the UK in January 2015. Set in 1813, Taboo follows Hardy’s James Keziah Delaney who returns from Africa with 14 ill-gotten diamonds and seeking to avenge his father’s death. Refusing to sell the family business to the East India Company, he sets out to build his own trade and shipping empire and finds himself playing a dangerous game with two warring nations, Britain and America. Sonar is distributing outside the UK. Executive producers are Scott, Liza Marshall and Kate Crowe for Scott Free, Tom Hardy and Dean Baker for Hardy Baker, and Knight. Chips Hardy is serving as consulting producer. Tom Hardy is repped by Jack Whigham and Mick Sullivan at CAA and Lindy King at United Agents. Actor Tom Hardy is joining forces with Sir Ridley Scott for a BBC One period drama about the East India Company. The eight-part series, Taboo, will star Hardy as a rogue adventurer who sets out to build a shipping empire, pitting him against the East India Company. Inception star Hardy, who wrote the original story with his father Chips, called it “a flagship British drama for this generation”. Gladiator director Sir Ridley said Hardy’s character “will become iconic”. 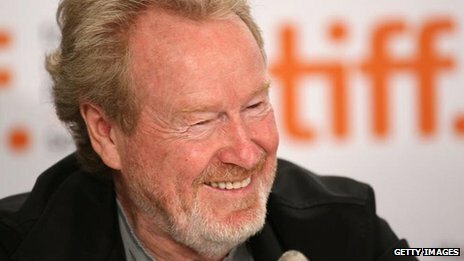 “This is a period in British history where the rising power of the Empire seeped into every dark corner,” said Sir Ridley, best known for cult films such as Alien and Blade Runner, who will produce the drama. The drama, set in 1813, will reunite Hardy with screenwriter Steven Knight, with whom he worked on the forthcoming film Locke. Knight is also the writer of BBC gangster drama Peaky Blinders, which Hardy is joining for its second series this autumn. Knight described the lead character, James Delaney, as “a deeply flawed and deeply troubled human being”. Ben Stephenson, controller of BBC drama commissioning, said he was “thrilled” to see Hardy and Knight reunited on the series. Tom Hardy’s company, Hardy Son & Baker, will co-produce the series with Scott’s Scott Free London. Shooting will begin in early 2015. Hardy, who became a well-known name following his villainous turn as Bane in The Dark Knight Rises, can shortly be seen in James Gandolfini’s final film The Drop. He is also lined up to play the lead in the forthcoming Mad Max reboot, as well as playing Elton John in the Rocketman biopic. The actor is reported to be starring in the National Theatre’s film adaptation of London Road, alongside Broadchurch star Olivia Colman. London Road was inspired by the murders committed by Ipswich serial killer Steve Wright, who was found guilty in February 2008 of murdering five women working as prostitutes. Jordan Patrick Smith (born 1989) is a Scottish-Australian actor best known for playing Andrew Robinson in the Australian soap opera Neighbours. Smith was born in Fife, Scotland and moved with his family to Australia in 2003 when he was 14. The family holidayed in Australia in 2001 and fell in love with the country and so decided to emigrate. Whilst in Year 12 at his high school, Carmel Catholic College, drama became one of Smith’s favourite subjects. Smith currently resides with fellow Neighbours cast-member Chris Milligan, who plays Kyle Canning. After finishing school, Smith took a number of acting courses and appeared in a few commercials. He has previously appeared in H2O: Just Add Water, in which he played a surfer. Smith has also had roles in Mortified and Home and Away. Smith has admitted that Neighbours had to change his character’s background story because of his Scottish accent. Andrew was initially meant to have been brought up in Brazil, but the strength of Smith’s accent meant that this had to be changed. He has also stated that he had to “refine” his accent in order to be understood by other cast members and the audience. Smith has admitted that if he was not playing the role of Andrew Robinson he would have liked to play the role of fellow Neighbours character Lucas Fitzgerald, played by his co-star Scott Major, instead. On 26 November 2012, it was announced that Smith would be leaving Neighbours. He made his final screen appearance as Andrew on 29 March 2013. In October 2013, it was announced that Smith was in final talks to join the cast of Angelina Jolie’s Unbroken as Cliff, an Australian prisoner who is taken to a Japanese POW camp in World War II. No start date yet, but it must be soon, as there are a lot of teaser trailers. Sean has 21 deaths in this reel. Charles Dickens wrote and performed songs all his life. As a little boy, his mother stood him on the table in the local pub to sing; as a successful writer he sang to his guests after dinner. He also wrote the libretto for an opera. Recorded on location in Dickens’ drawing room, with biographers Claire Tomalin and Michael Slater and actor and writer Simon Callow. With singers Gwyneth Herbert, Thomas Guthrie and Laura Crowther. Underrated leading man Jeff Fahey carries most of the dramatic weight of the Australian Wrangler. Fahey plays a handsome, athletic businessman who vies for the hand of rancher’s daughter Tushika Bergen. Our hero must not only contend with his romantic rival, a dashing but dangerous cattleman (Steven Vidler), but also with a villainous creditor who craves the land left to Bergen by her late father. By nature of its plotline and setting, Wrangler can’t help but invite comparisons to the popular The Man From Snowy River. Still, the stars and director Ian Barry keep up the appearances of freshness and originality. Genie’s POV: I really enjoyed this film and tend to watch at least yearly. I own this film. The nice thing about watching period dramas is that they don’t age. BBC One has rounded out the cast for their upcoming 8 episode Poldark reboot. Phil Davis (Whitechapel), Jack Farthing (Blandings), Kyle Solder (Anna Karenina), Warren Clarke (Red Riding), Beatie Edney (Poirot), Alexander Arnold (Skins) and Robert Daws (Holby) have all boarded the drama; while Robin Ellis, who played Ross Poldark in the original 1970s series, is also set to appear in two episodes in a recurring role. Poldark is set in late 18th century Cornwall when Ross Poldark returns from the American War of Independence to his beloved Cornwall to find his world in ruins: his father dead, the family mine long since closed, his house wrecked and his sweetheart pledged to marry his cousin. But Ross finds that hope and love can be found when you are least expecting it in the wild but beautiful Cornish landscape. Davies has been cast as Jud, Ross’ lazy manservant Jud; Farthing as ambitious banker George Warleggan; Solder as Francis Poldark, Ross’ cousin; Clarke as Charles Poldark, Ross’ uncle; Edney (Poirot) as Prudie, Jud’s wife; Arnold as Jim Carter, Ross’ farm hand; Daws as Dr Choake; and Ellis as Reverend Halse. They join a cast which also includes Aidan Turner (Being Human) as Ross Poldark, Eleanor Tomlinson (The White Queen) as Demelza, Ruby Bentall (The Paradise) as Verity and Heida Reed (Silent Witness) as Elizabeth. This new 8 part series, based on the series of novels by Winston Graham and the 1970s television series, is being adapted by Debbie Horsfield, directed by Endeavour helmer Ed Bazalgette and produced by Mammoth Screen. Eliza Mellor is serving as the series producer; while Polly Hill, Debbie Horsfield, Karen Thrussell and Damien Timmer are executive producing. Production on Poldark is now underway in Cornwall and Bristol, with BBC One eyeing a 2015 premiere.